Terrible At Buying Gifts? This Guide Will Save You! For some people, buying gifts comes naturally. No matter who they have to buy for, they manage to nail it every time and make everyone happy! Then, you have people that, try as they might, can never get the hang of gift buying. If you’re reading this, then I bet you fall into that second category of people. You try your best all the time, but your gifts just never seem to create the excitement you hoped. You’re always buying things you thought were good gifts, but they turn out to be pretty poor ones. Well, no more. This guide has been created to help anyone that has problems buying gifts for their friends & family. I’ve provided you with some general tips you can use and apply to any gift-giving scenario. In addition, you can now send out Hallmark Christmas cards online, but if you want to become the best gift buyer in your family, I suggest you carry on reading. Personalized gifts are normally very well appreciated. Typically, this is for one simple reason; it shows you’ve been to a lot of effort. Anyone can buy someone a new t-shirt, but if you go out of your way to get a personalized t-shirt, it shows you’re very thoughtful. You can get personalized gifts for pretty much any member of your family. For babies, you can get little baby grows of pajamas with their names embroidered on them from various sites. Young to teenage children can be giving personalized sports jerseys from any sports store. You can get a personalized wine label at GrogTag to add to a bottle of wine for brothers, husbands, and fathers. You can find a nightgown and slippers that you can personalize for your mother or sister. Regardless of who you’re buying for, there’s always a personalized option at your disposal. You could, and should, extend the personalization to their card too. There are so many sites that offer loads of personalized gift card options nowadays. They make the perfect accompaniment to any personalized gift. A lot of people shy away from homemade gifts as they think they’re a bit of a cop out. In reality, a homemade gift shows you have a big heart, and is incredibly thoughtful. You’re giving someone something that you physically spent a lot of time creating just for them. Not only that, but you’re also giving them something unique. There isn’t another one of your homemade gifts out there, as you’ve personally made it specifically for one person. You have a plethora of homemade gift ideas to choose from as well. Again, many people think homemade gifts revolve around food. This isn’t true, although homemade food gifts are a huge winner in my eyes! You can unlock your creative potential and make anything you want. Different people have different talents, put yours to the test with your creations. If you’ve always been good at drawing, why not draw a family member a nice portrait? Or, take a classic family photo and create a painted version of it. If you happen to be good at baking, bake a cake! The opportunities are endless, you’re bound to find an idea that suits you. 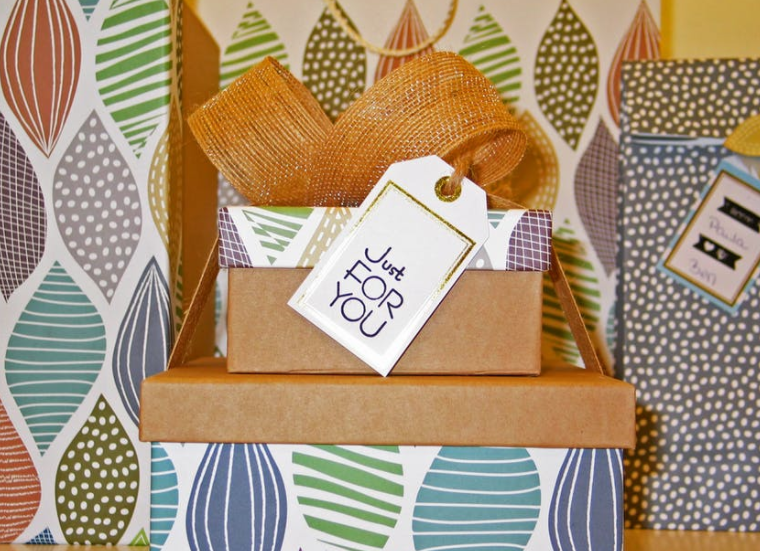 There are two other benefits of a homemade gift besides the thoughtfulness. For starters, they’re cheap. If you have everything you need at your disposal already, then they can be free! They’re a brilliant idea for someone that’s strapped for cash but wants to give out a really thoughtful gift nonetheless. Secondly, they don’t have to be perfect to be appreciated. The fact you’ve gone to all this effort is enough to earn appreciation in most people’s eyes. I mentioned that some people think homemade gifts are a cop-out, well, food is probably the biggest cop out ever. However, that doesn’t mean food gifts aren’t brilliant. Find me, someone that doesn’t appreciate some type of food gift, go on, I’m waiting! We all love receiving them, which makes them a really good gift to give. The beauty of this idea is the sheer choice available to you. You can find food gifts that are perfect for different people and occasions. For example, you can get things like gingerbread men, or Christmas themed food as Christmas presents. Chocolate is always a winner at Easter, and then you have many birthday-themed ideas too. You also have the choice between sweet and savory food gifts too. Again, these are great for different people. Younger family members will probably respond well to sweet treats. Especially if you’re very limited with how many sweets they get regularly. A sweet treat as a gift will be even more special as they’re usually never allowed them. For older family members, you can still go for sweet treats, but they might be open to savory ideas too. Things like gourmet chips or gourmet marmalade are great options. Of course, as stated earlier, you can always make handmade food gifts if you want to go that extra mile. Food gifts are brilliant as they’re just a good last minute idea. We’ve all been in scenarios where we’ve forgotten to get a gift and realize the day before. It’s so easy to pop out to the shops and get a box of chocolates or a hamper to give to someone. Also, a food gift can still be a thoughtful gift. You could spend ages trying to hunt down a rare thing one of your family members tried on holiday and loved. Just the fact that you remember what people’s tastes are shows thoughtfulness. Don’t be afraid to buy food gifts, too many people shy away from them as they think they’re not very meaningful. 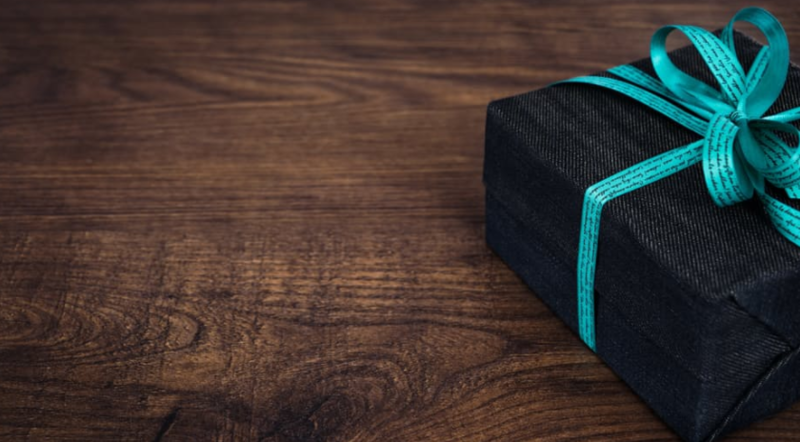 The three ideas I’ve given you will help you buy gifts for anyone and any occasion. Each of them shows incredible thoughtfulness, which is one of the key things when buying gifts. The other key thing is that the recipient enjoys the gift – and all three ideas ensure this happens too! Come back to this guide whenever you need to buy a gift to refresh your memory of what works the best.